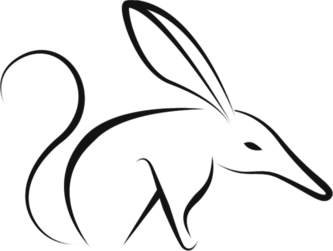 bilby.js is a serious functional programming library. Serious, meaning it applies category theory to enable highly abstract and generalised code. Functional, meaning that it enables referentially transparent programs. Environments are very important in bilby. The library itself is implemented as a single environment. An environment holds methods and properties. Methods are implemented as multimethods, which allow a form of ad-hoc polymorphism. Duck typing is another example of ad-hoc polymorphism but only allows a single implementation at a time, via prototype mutation. The environments are immutable; references to env won't see an implementation for boolean. The env2 environment could have overwritten the implementation for number and code relying on env would still work. The helpers module is a collection of functions used often inside of bilby.js or are generally useful for programs. Returns the name of function f.
Returns the arity of function f.
Partial polyfill for Object.create - creates a new instance of the given prototype. Always returns an instance of constructor. Returns self if it is an instanceof constructor, otherwise constructs an object with the correct prototype. Creates a simple constructor for a tagged object. Creates a disjoint union of constructors, with a catamorphism. Turns the throw new Error(s) statement into an expression. Returns true iff o has typeof s.
Returns true iff a is a Function. Returns true iff a is a Boolean. Returns true iff a is a Number. Returns true iff a is a String. Returns true iff a is an Array. Returns true iff o is an instance of c.
Sentinal value for when any type of primitive value is needed. Sentinal value for when a single character string is needed. Returns true iff a is an instance of arrayOf. Returns true iff a is an instance of objectLike. Lifts a curried, binary function f into the applicative passes a and b as parameters. Reifies continutations onto the heap, rather than the stack. Allows efficient tail calls. Where loop is the identity function for positive numbers. Without trampolining, this function would take n stack frames. Result constructor for a continuation. Continuation constructor. thunk is a nullary closure, resulting in a done or a cont. The beginning of the continuation to call. Will repeatedly evaluate cont thunks until it gets to a done value. Used to mutate the valueOf property on proto. Necessary to do the Do block's operator overloading. Uses the object's existing valueOf if not in a Do block. Warning: this mutates proto. May not be safe, even though it tries to default back to the normal behaviour when not in a Do block. The option type encodes the presence and absence of a value. The some constructor represents a value and none represents the absence. Constructor to represent the existance of a value, x. Represents the absence of a value. Returns true iff a is a some or none. Represents a tagged disjunction between two sets of values; a or b. Methods are right-biased. Constructor to represent the left case. Constructor to represent the (biased) right case. Returns true iff a is a left or a right. The Validation data type represents a "success" value or a semigroup of "failure" values. Validation has an applicative functor which collects failures' errors or creates a new success value. errors must be a semigroup (i.e. have an append implementation in the environment). Returns true iff a is a success or a failure. Lenses allow immutable updating of nested data structures. A store is a combined getter and setter that can be composed with other stores. Returns true iff a is a store. A total lens takes a function, f, which itself takes a value and returns a store. Returns true iff a is a lens. Creates a total lens over an object for the k key. Pure wrapper around a side-effecting f function. Returns true iff a is an io. Generates values for each type in args using bilby.arb and then passes them to property, a function returning a Boolean. Tries goal number of times or until failure.